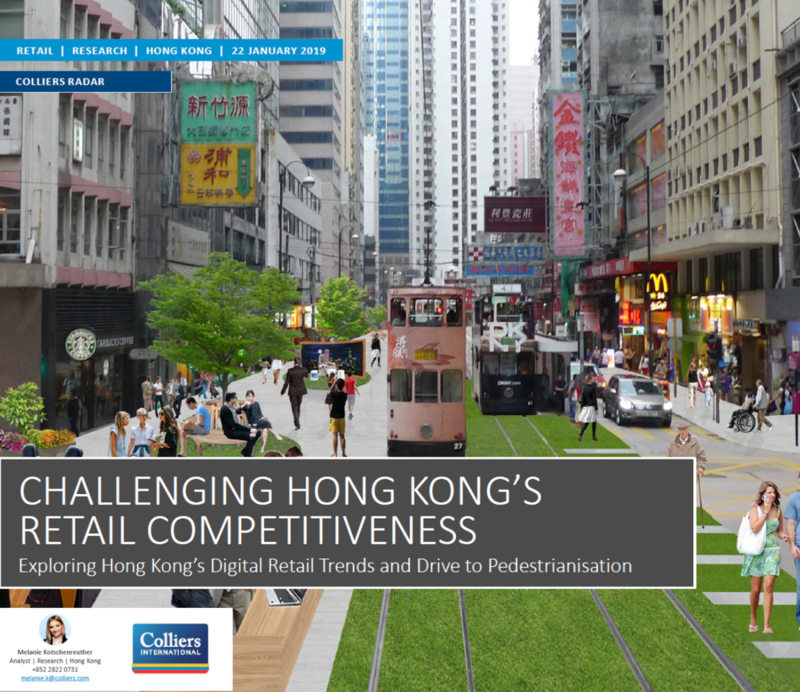 Colliers International Hong Kong Research Report | Walk DVRC Ltd. | Walk DVRC Ltd.
Colliers International Hong Kong has recently completed a research project on Hong Kong’s digital retail trends. The study mentions how pedstrianisation can help benefit retailers. 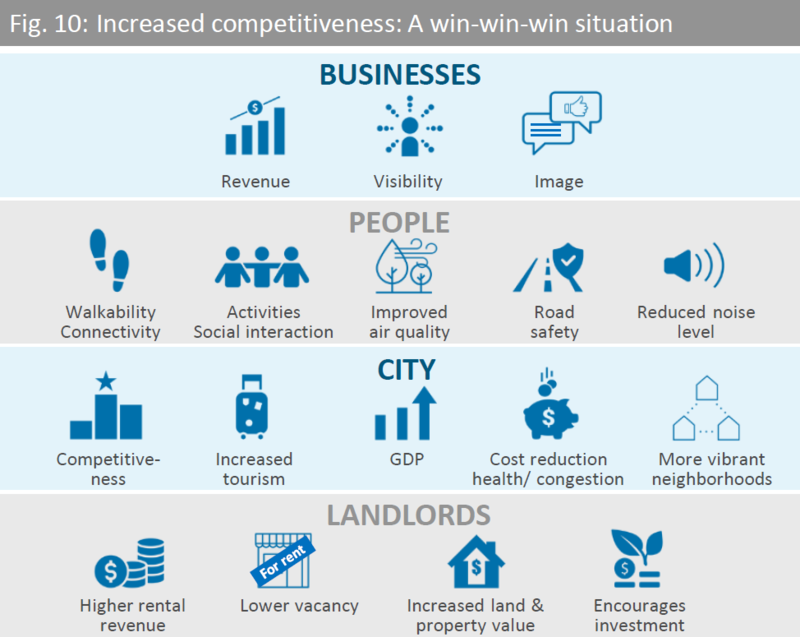 Here are some of the findings from the report that talk about the pedestrianisation Des Voeux Road Central (DVRC). A pedestrianised zone in the heart of the city can make for a destination, a street, people want to go to, not just through1. When enjoying the place, people tend to stay longer, increasing the likelihood of spending. A transformation of Des Voeux Road Central, the historically valuable but congested core of the CBD, into an inviting destination, could help promote sustainable competitiveness for the local retail scene and beyond. At the same time, a better linkage of multiple attractions through pedestrianization can meet the requirement of convenience, as it should make it much easier to get around. The report cites that the existing proposal to transform the historically valuable Des Voeux Road Central in the heart of Hong Kong’s CBD into a pedestrian and tram precinct, can not only prevent a further decay of the district, but also offer overarching benefits that go beyond DVRC itself. With improved walkability, residents and tourists can walk to the future Central Harbourfront development with ease. The enhanced connectivity, along with better signage, should also make it more convenient to use the Central ferries to access the upcoming West Kowloon Cultural District. In Colliers view – now is a good time to start implementing a new pedestrian precinct in DVRC. In terms of traffic, the newly launched Central -Wan Chai Bypass and Island Eastern Corridor Link should ease traffic in Central. 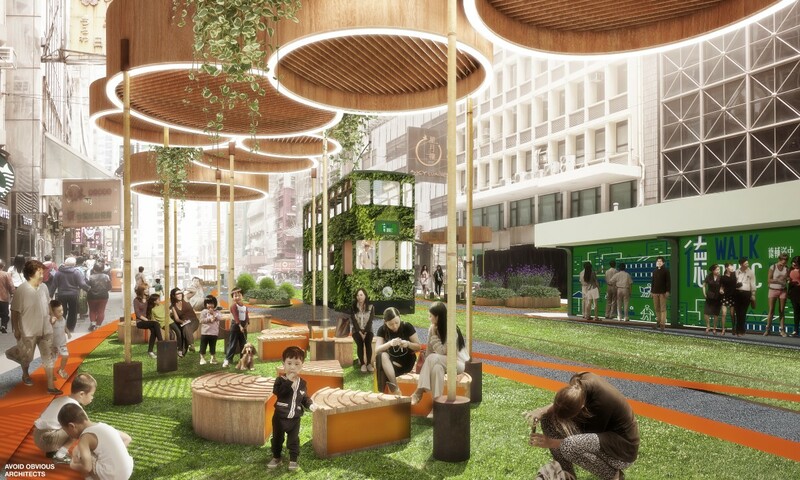 The planned “Sheung Wan Fiesta,” a 90-day trial, where parts of DVRC would be closed to traffic is a great way of warming residents and businesses to the new concept. The report was prepared by Colliers International Hong Kong.